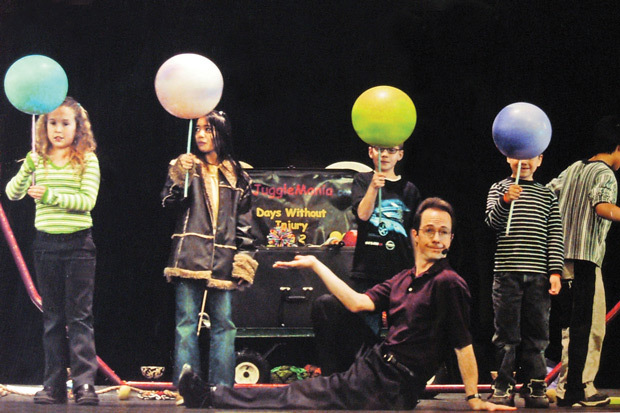 Instructor Rhys Thomas of Jugglemania is a former Smithsonian artist-in-residence who takes juggling beyond physics to explore archaeology, chemistry, mathematics and other sciences. What new juggling props have chemists created? Can mathematicians help discover new tricks? Watch and wonder as the show builds to a grand finale, featuring Rhys juggling on a rope. Stage requirements: 12’x12’ area with a 10’ ceiling. Topics include inertia, gravity, balance, centripetal force, archaeology, chemistry and mathematics.